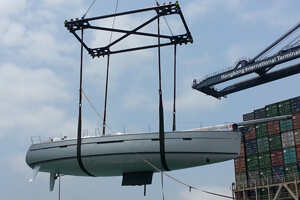 With more than 30 years of experience in transporting motor- and sailing yachts, containers and other specialist goods through Europe, we are among the market leaders in our field. Learn more about our diverse offers on our website. 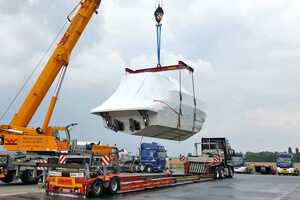 If you would like your yacht to be transported safely on specially built trailers, count on the experience and the know-how of the Sleepy team. Our extensive portfolio also offers you quick and safe transport of over-sized goods, such as containers, tanks, engines or molds. 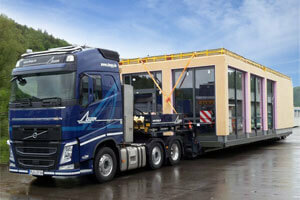 We organize, plan and realize your whole transport or project for you. Everything from the pick-up from the factory over sea freight to the destination – we offer project fulfillment to you.